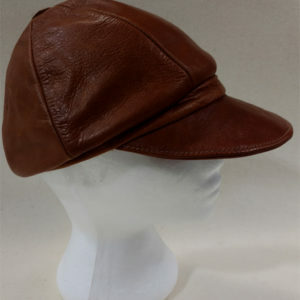 Sunset Leather Company has developed a line of fashion accessories such as, Ties, Hats, Jackets, Skirts, Shirts, Pants, and handbags. These are made from custom designs, your ideas, or simply by duplicating you’re old and worn out items. We also produce wonderful room panels, pillows, dividers, and other custom designs that are limited only by your imagination for your home, home theater, or office. Ka-Cee is ready for her weekend trip. 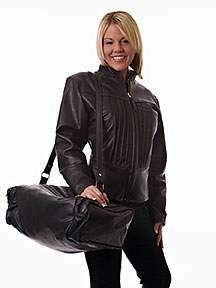 She has everything she needs in her #6091 sports bag/carry on. Ka-Cee is ready to go to work at any restaurant with these accessories. and is using our #RCFMNU Café Menu Presenter. 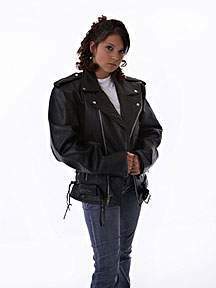 Sheena is ready to ride her motorcycle with one of our stylish motorcycle jackets.